The Kershaw Crown II 3150 is a classically elegant knife. The polished black micarta handle perfectly compliments the satin finished bolsters and 8CR13MoV blade. Dual thumbstuds allow for ambidextrous opening of the heat treated blade. 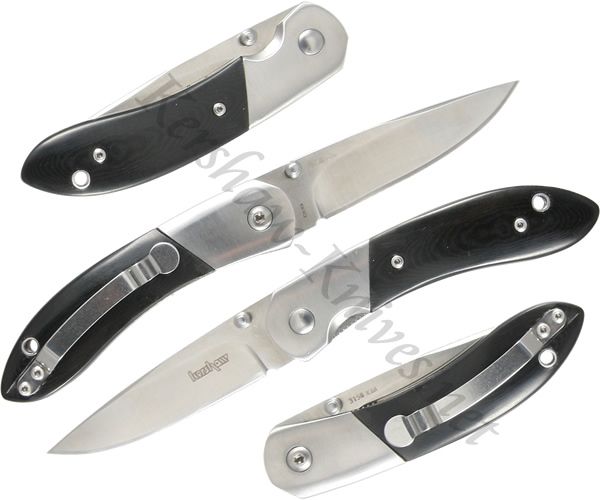 A liner lock system ensures that the blade remains open when needed. A removable pocket clip provides convenient carrying options, making the Kershaw Crown II 3150 readily available for use.